In 1973, when I was 18 and an undergrad at Boston University, I met my favorite teacher Howard Zinn. A few years later, when some visiting parents were sitting in on the introductory session of my course “Law and Justice in America,” I handed out the syllabus, which included as one of the course topics the shootings at Kent State. At the end of the session, one of the new students came up and introduced herself and her parents. She was Laurie Krause, the sister of Allison Krause [pictured above]. I recognized her father from the television screen and felt a pang of unease that their unspeakable grief was represented so matter-of-factly on a course syllabus. But they seemed to appreciate that the Kent State affair was not forgotten. The spring of 1970 saw the first general student strike in the history of the United States, students from over four hundred colleges and universities calling off classes to protest the invasion of the Cambodia, the Kent State affair, the killing of two black students at Jackson State College in Mississippi, and the continuation of the war. 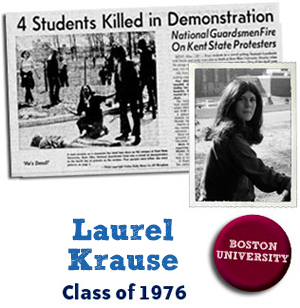 Laurel Krause co-founded the Kent State Truth Tribunal to honor those killed and those impacted by the killings. You are right that trying to get “redress” via the judicial system is a dead end, or a maze, and that learning and spreading the truth is the most important thing you can do. That was the idea of the Truth and Reconciliation Commission in South Africa. 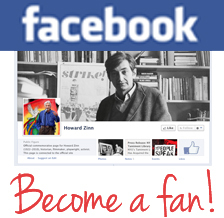 I was Howard Zinn’s student at the height of his popularity in the early 70s. During that period, Howard was writing his play on American anarchist Emma Goldman, Emma, and I was deeply immersed in reading all of Emma’s writings. Learning from Howard and Emma helped me heal Kent State wounds and helped me reclaim a vision for a just, peaceful America without war. Back then in 1973, glimmers of hope emerged among young Americans as the Vietnam War was winding down finally ending in 1975. During this period a generation of American protesters against the Vietnam War, that had also experienced the traumas of Kent State and Jackson State, paused and attempted to understand and heal from the state-inflicted wounds that were targeting us since Woodstock. Fast-forwarding 40 years after the Kent and Jackson State massacres to 2010, a tape recording on a 1970 Kent State student’s dormitory window ledge, was digitally analyzed for the very first time. Expert Stuart Allen forensically verified a Kent State command-to-fire and government complicity, notably that the FBI and COINTELPRO were involved in provoking the events, and the killing of American anti-war protesters. When the U.S. Department of Justice and President Obama REFUSED to examine the new Kent State forensic findings, we took our cause to the United Nations Human Rights Committee in March 2014. We have been working with them ever since. 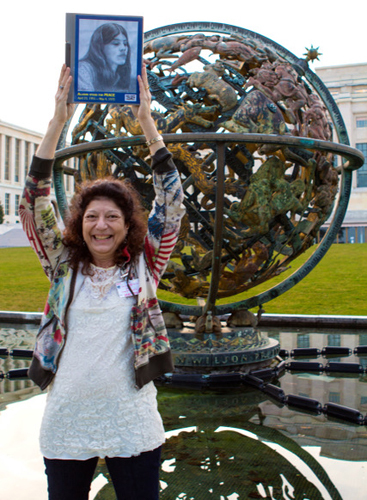 Laurel Krause with a photo of her sister, Allison, at the UN. The massacre at Kent State was a human rights violation committed by the US government and military. The killings at Kent State were executions aka targeted assassinations. Unarmed student protesters against the Vietnam War faced firing squads of the US military and police. 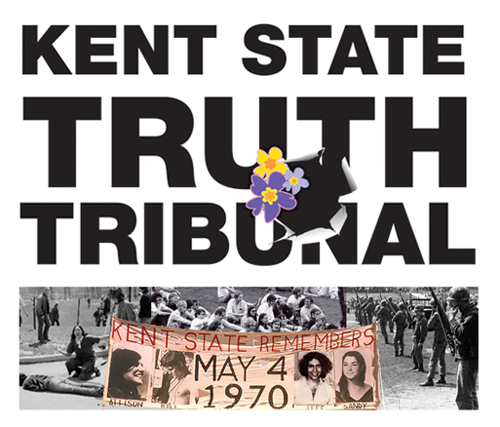 In Geneva as the Kent State Truth Tribunal brought Kent State before the United Nations, I was exposed to a whole new way of understanding what the U.S. government and military did to my sister Allison, and to this day, without apology or accountability. Howard would agree with the UN’s findings, applaud our breakthrough, and stand with us for the protection of protesters in America today. We’re going to need it in these times!